It looks like “Plan 2 for query_id 1” image does not show the plan that you are talking about, but the first one. Fixed! Thanks for the catch! You want to know if *what* will happen if Query Store is disabled? 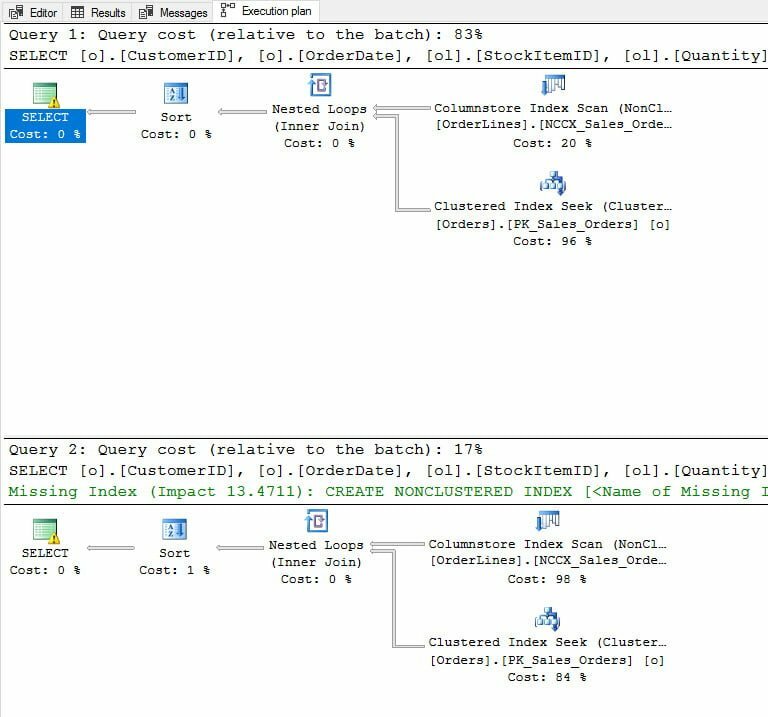 If Query Store is disabled you can’t force a query plan, so this scenario is moot. 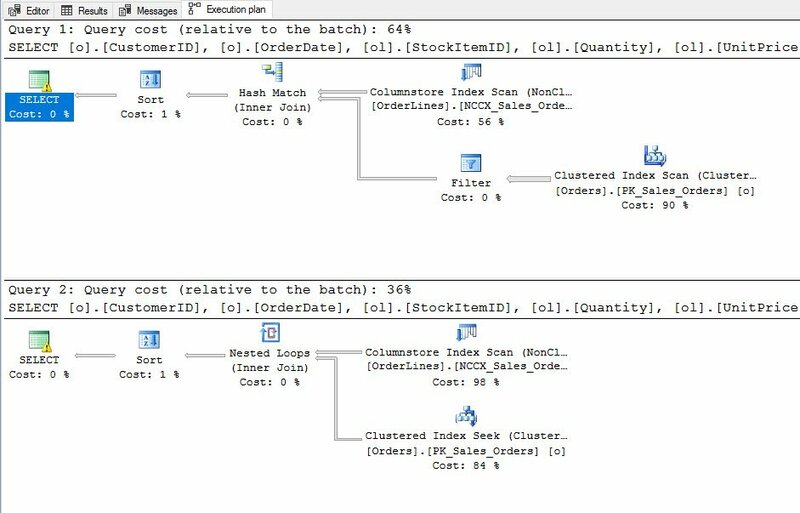 If you change the text for a stored procedure (using ALTER for the SP), then the query with changed text is a new query so that would go through compilation/optimization. Not really sure what you’re asking so feel free to clarify. I’ve seen similar cases where a procedure was ALTERed without any changes at all, and still new query_id values were generated. Bug or feature? I’d argue that’s a bug, can you reproduce it? Because if so, I’d create a User Voice item. Did some digging — this only happens for queries that reference temp tables or table variables. These statements get a new generated batch_sql_handle on every ALTER, which is part of the key used to identify a query. I kind of understand why they had to do that, but I wish there was a better way, since this means the Query Store doesn’t correctly keep track of such queries and forced plans become ineffective incorrectly. Alex, nice work finding that – I haven’t seen that yet, but I would bet it’s quite common. Do you have a blog? You should write about that! Also, I would recommend creating a User Voice (formerly Connect) item to raise the concern to Microsoft and see if they can provide an alternative. Happy to help you get it up-voted and raise awareness, just let me know.